A “poisson d’avril” is a joke made on April 1st. 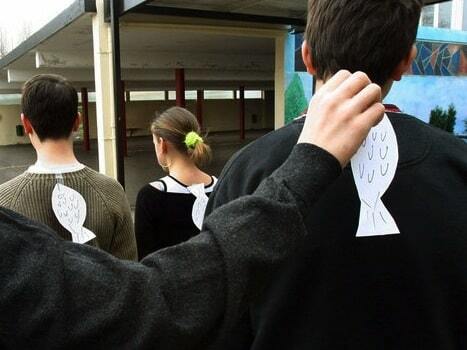 For April Fool’s in France, children try to stick a fish picture on their friends’ back. When the joke is discovered, they shout “poisson d’avril !”. 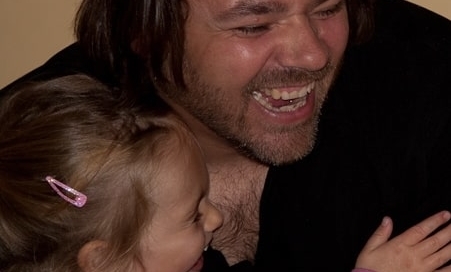 Learn about this French tradition, with many examples, and study the laughter related French Vocabulary. April Fool’s in France – Poisson d’Avril! Where this habit comes from is not certain. There are several theories (read more here), but why the symbolic of the fish remains pretty much a mystery. See what the RATP (the company managing the Paris Subway) did in 2017: they made puns with Paris métro station names! They glued some stickers around the names on the stations themselves. I’ll translate and explain them for you: all these are French puns, so the name of the station sounds more or like another French word and together makes a fun sentence. Bastille = Une pastille pour la gorge ? = a lozenge for the throat? Laumiere = qui a éteint la lumière = who turned off the light? Gentilly = de la chantilly sur tes fraises = some whipped cream on your strawberries? Why are some words omitted such as the “il n'” or the “ne” – that’s modern French! Yesterday, President Nicolas Sarkozy announced an ambitious plan for mitigating the social health deficit: to sell the Parisian monuments, which presently belong to the city of Paris. Many foreign powers have already made offers totalling several billion Euros. It seems that China is willing to pay 3 billion Euros for the Eiffel Tower alone. The other monuments concerned are the Arc de Triomphe, the Petit Palais, the Sorbonne, the Paris Bourse, the Invalides, Grand Palais … and the bridges of the Seine. The President said that Notre Dame cathedral as well as the Basilica of the Sacred Heart would be excluded from the negotiations because of their religious character. Here is an hilarious “poisson d’avril” video of a fish pranking a cat ! And it comes with English subtitles :-) Note the song at the end which is a very famous children song. For a taste of French jokes, follow this link to French jokes + English translation and audio recordings on French Today. J’adore faire des blagues: I love pranks. Tu as gagné au loto ? Sans blague! You won the lottery? No kidding! if you use “dire” or “raconter”, then it’s verbal. Watch out for “raconter des histoires” which could be an idiom meaning to lie, making up stories. Arrête de raconter des histoires et dis-moi la vérité! Stop making up nonsense and tell me the truth! Ce n’est pas méchant: il plaisante, c’est tout! It’s not mean, he’s only kidding.